O'Steen & Harrison, PLC originally was formed in Phoenix, Arizona in 1974. This innovative firm, which described itself as a "legal clinic," was dedicated to providing affordable legal services to people who traditionally had little or no access to lawyers. Since then, the firm has helped thousands of individuals and families protect their legal rights. In 1977, Van O'Steen went to the United States Supreme Court and won the landmark case giving lawyers and other professionals the right to advertise. Before 1977, lawyers in all 50 states were prohibited from advertising. They could not even publish their fees or information about important legal rights. Mr. O'Steen took this important case to the Supreme Court because of his sincere belief that consumers were being harmed by not receiving helpful information. The U.S. Supreme Court agreed, and, as a result, people now receive useful information about an assortment of professional services they might need. Esquire Magazine featured Mr. O'Steen in an article entitled "Van O'Steen Brings the Law to the People." He was designated a member of "America's New Leadership Class. 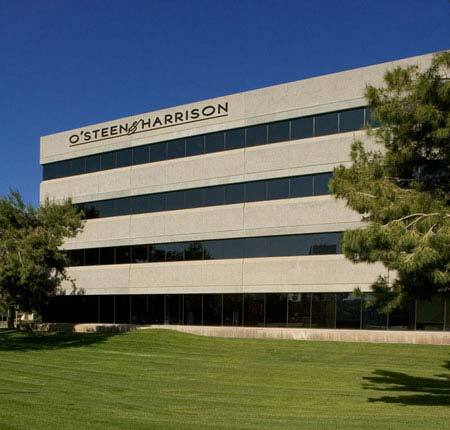 O'Steen & Harrison has grown to a highly respected consumer law firm with five offices conveniently located throughout Arizona. 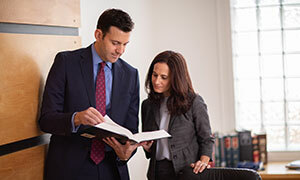 The firm is av-rated (the highest rating) by the prestigious Martindale-Hubbell Law Directory, and is a member of the Bar Register of Preeminent Lawyers. O'Steen & Harrison is committed to protecting the rights of consumers. The firm never represents insurance companies or product manufacturers. We only help people! In the single largest damages case in the history of the world, the attorneys of O'Steen & Harrison were selected by the Arizona Attorney General as the only Arizona law firm to represent the State against American tobacco companies. As a result, Arizona taxpayers will receive more than three billion dollars to cover the costs of treating tobacco-related illnesses, maintain educational programs to prevent young people from smoking, and fund other important State programs. If you have been injured or lost a loved one in a car accident, or through someone else's carelessness or intentional wrongdoing, our lawyers will work hard to get you everything you rightfully deserve for your losses. For free answers to your questions about car accidents and injuries, just complete our convenient online contact form.